Security Sector Reform is categorized in second generation of peacekeeping operations which aim to prevent the future conflicts in intervened conflicts in addition to ‘freezing’ the conflict (Kenkel, 2013). This concept covers ‘all those organizations that have the authority to use, or order the use of, force or threat of force, to protect the state and its citizens, as well as those civil structures that are responsible for their management and oversight’ (Schnabel and Ehrhart, 2005). However, in post-conflict societies, SSR also aims to support peacebuilding. (Ingerstad, 2012) Because SSR can be related to all state institutions and also to all segments of society; the selected concept and the area of implementation of it, can reflect the debates in statebuilding and peacebuilding literatures and can also be a ‘bridge’ in these discussions. Furthermore, Since the SSR has additional objective in peacebuilding and due to the central place of being ‘the’ security provider in state building for a state, the importance of SSR in both processes increases. The concept, additionally, is not only about police and military branches but also about judiciary, governance and transparency as SSR has been intermingled with rule of law, human security and development. Moreover, as an intervention-led concept in post-conflict countries; supported/ sponsored by foreign nation-states and supra-national organizations such as the United Nation(UN), the European Union(EU) and the Organization of Security and Co-operation in Europe(OSCE), the United Nations Development Program(UNDP); SSR brings various actors at different levels, thus, has a complex structure to be discovered. As a former colony of France, Central African Republic(CAR) became independent on 13 August 1960 and David Dacko was elected as the first president in an only candidate election in 1964. Since its independence, CAR has experienced continuous (attempts of) coup d’états and rebels starting with the first one in 1966. Therefore, is can be asserted that the power relations between the executive branch and the military in state institutions, mostly based on the relations of the elites, has been a central point in the conflicts in CAR. Another point in these coups, mutinies and rebels is that France has intervened in the incidents either as an only actor, or as a part of international- regional peace operations. Following the first mutiny in 1996, Mission Interafricaine de Surveilliance des Accord de Bangui/ Bangui Inter-african Mission for Accord Surveillance(MISAB) was established by the former Organization of African Unity(OAU) with the French financial support. Mission des Nations Unies en Républic Centrafricaine/ United Nations Mission in Central African Republic(MINURCA), a UN peace operation replaced MISAB between 1998-2000. Bureau politique d’observation des Nations Unies en Centrafrique/ United Nations Peace-building Office in the Central African Republic(BONUCA) took the place after 2000 and it was followed by The Economic and Monetary Community of Central Africa(CEMAC) sponsored by Force Multinationale en Centrafrique/ Multinational Force in Central Africa (FOMUC). In 2008, Mission des Nations Unies en République Centrafricaine et Tchad/ Mission of the UN in Central African Republic and Chad (MINURCAT) came to the scene with the mandate to stabilize the region, focusing on the borders and involved development based approaches by the World Bank. (N’Diaye, 2012) SSR, as main focus for this essay, was not mentioned by any of these operations. In this essay, SSR in CAR after 2008 is analyzed. However, there could be no opportunity to conduct a field research or in-depth interviews with the local people due to the time limitation. Therefore, secondary resources; articles, books, reports and news from world-wide channels were used to scrutinize SSR in CAR and the reform of the armed forces were focused for a deeper and well-developed analysis. First, the SSR provision is covered in order to present a framework; second the role of elites and their resistance to institutionalization, thus to SSR, is explored; thirdly, self-defense militia groups as security providers and lastly, the negative perspective towards state-building by the local people as a legacy of post-colonialism are discussed. Local Perspectives on International Peace- and Statebuilding Interventions, 2FK045. The thesis departs from the idea that there is not enough academic research on the relationship among sectors constituting the whole peacebuilding/ statebuilding activities while most of academicians and practitioners value the comprehensive peacebuilding and post-conflict statebuilding to respond the challenges in post conflict context. As a starting attempt, the thesis focuses on the possible impacts of Security Sector Reform (SSR) on agriculture in post- conflict environment. The thesis takes Kosovo as a case and examines possible positive and negative impacts of SSR on agriculture based on the hypotheses considering the engagement of security forces in rural areas, labor shifts and resource distribution. The results based on the qualitative data indicate that positive impacts are more visible while negative ones are not totally proved due to lack of data as another impediment in post- conflict context. When the conflicting parties cannot find a way out, the need might arise for a third party intervention. In international conflicts this intervention can be in forms of facilitation, arbitration, adjudication and mediation. In ‘The Politics of International Arbitration and Adjudication’(2013) by Stephen E. Gent, we see when, why and over which issues the states choose arbitration and adjudication, which is the most binding type of intervention as it is conducted by international law and courts, here of course we put aside the discussion about the international law itself, in an anarchical structure. In his article ‘Using the Right Tool for the Job: Mediator Leverage and Conflict Resolution’(2013), Beardsley discusses the styles for a mediator using leverage as a persuasion method over the conflicting parties with its strengths and weaknesses. Among the all articles, however, I found the Zartman reading ‘International Mediation’ the most comprehensive one as he looks at also the question by which motivations a third party intervenes into a conflict besides the motivations of the conflicting parties to consider mediation as an attempt to resolve the conflict. In addition, he also gives prescription for the timing of the intervention, underlining the ripe moment and the importance of persuasion not only showing the resolution something desirable but also by using power. He also frames the ways which the power changes the form according to ‘triangle’, mediator as communicator, as formulator and manipulator based on the stage of the conflict. However, after all these 3 pieces, I would also like to read the place, tactics, role of spoilers in a mediation as the mediator also have to keep them under control. In addition, as we know from mediation literature, generally the moderate ones in a party mostly take the prior roles in a mediation process. Therefore, I wonder how to keep the balance with those moderate and hard-liners in a party. I would consider the question, what would a mediator should do when there is a power asymmetry among/ between parties, as sometimes mediators choose the way to strengthen the weaker party but Zartman already puts the importance of being more powerful vis-à-vis other party to accept the mediation. The differences, similarities and linkage between domestic and international systems has always been one of the most popular subjects in IR. Although some argue that there is no relationship between the two or rejects the effects on each other, we can easily observe the relation considering historical and contemporary relations especially on being part of international organizations and/or on international agreements resulting from negotiations. Before giving these examples, we can mention general framework of the article of Putnam, names as ‘Diplomacy and Domestic Politics: The Logic of Two-Level Games’(1988). In this article, Putnam asserts that each of domestic and international relations has an impact on and can determine the other by looking at ratification process, bureaucratic mechanism, reverberation, voluntary and involuntary defection and credibility of the commitment at Level I negotiators’ strategies, bargaining and Level II preferences and coalitions, institutions. I found this article very useful when I remember the most popular example for this assumption: the USA’ s membership to League of Nations. Although the institution was a part of ‘Wilsonian Idealism’ American Senate rejected to be a member of it. If we consider more contemporary examples, the representatives of the USA and Republic of Turkey has agreed on using military bases for US intervention in Iraq in 2003, Turkish Parliamentary rejected it and it caused deteriation of relations between Turkey and the USA for a while. For this rejection we can consider reverberation which was general negative perception in Turkish society for US intervention in Iraq. I would also question the similarity between reverberation and ‘audience cost’ and say that reverberation can be general attitude but in ‘audience cost’ we witness some kind of ‘punishment’ after unrest of a policy by the government, for example it might not be elected in the next elections. Currently, Turkish Prime Minister said that ”we call members of Turkish Parliamentary to collaborate for the ratification of the agreement with EU on refugee crisis and legislation of the EU required amendments for accession” on January 26, 2016 after the negotiations with the EU. Lastly, I would also like to highlight one of the points that the State is not a monolithic organization rather a composition of various branches each of them has their own structure and ‘organizational interest’ which need to be coordinated under the ‘national interest’ like Putnam points out this structural differentiation in addition to the fact that leaders are part of both domestic and international arena being representatives of their party, their position in state structure in domestic politics and their state in the international arena. In the article, Oye also presents unilateral, bilateral and multilateral strategies linking them to the importance of repeating the game, issue of reciprocity, reliability and number of actors which makes the situation more costly and complex to solve as the problems in transactions, recognition, control problems, sanctioning increases. When we look at the attempts to create global regimes on various issues, this article can explain very well. For example, postal system, regime on whales, train system could have been achieved but climate change which gives responsibility do decrease carbon emissions, nuclear issue, based on NPT which most nuclear countries have not signed yet are the complex issues makes international arena busy. In addition, when we look at ‘Fight against terrorism’ we can also observe the level of hardship in cooperation under anarchical nature in which they have to survive based on their self-interest and self-help. In previous weeks, we discussed that people are not always rational. In Fearon’s article for instance, we also touched upon the problems in miscalculation of capabilities and probabilities of war and also the problem of uncertainty of others’ capabilities and intentions. can also make vulnerable the actor. In negotiation, generally, we have parties which have issues and tries to reach a resolution of conflict over the issues. However, during a negotiation, we have some problems for example lack of information, trust, miscalculation etc, as well. In this chapter, I could also add that negotiation is something ‘intersubjective’ as deterrence and spiral models are generally based on perceptions of the other parties, rooted in power relations, past experiences, fear and reciprocity. (p. 75- 79) In addition to this, I would assert that although the hypotheses seem very useful considering the role of ‘other’ in Deterrence and Spiral Model, I would also like to read the ideas of the author on self-assessment (calculation of one’s own power), as we know from Fearon(1995) that it is very crucial to calculation and decision to go into a war or not. Moreover, although the author mentions the importance of taking the reaction of 3rd parties into account by the powerful party over the small one (p. 97), he does not give place it in his hypotheses. To sum up, as the author also recognizes the fundamental differences of Deterrence and Spiral Model Theorists over values, morality and empirical analyses, reading the assessment of turning points in history of international relations from these two opposite points of view is valuable to widen our own perspective. In this article, he takes the third argument which he calls ‘rational’ (p.379) and stresses on central puzzle, in which ‘states should have incentives to locate negotiated settlements that all would prefer to gamble of war’. (p. 380) While doing this, he also underlines the miscalculation caused by lack of information and also inability to calculate relative power in five points which also includes anarchy, expected benefits and rational preventive war. (p. 381) I really like his points, especially on wanted/ unwanted wars, preemptive- preventive wars, failure of diplomacy to prevent lack of information but, I really wonder his suggestions to overcome this problem. Zartman, in the chapter of ‘Ripeness Revisited’ in Negotiation and Conflict Management (2008) emphasizes the reason for the parties’ suspicions to efforts of the other party to reach a resolution. He starts with describing the ripe moment in which the conflict cannot be escalated anymore, the parties feel themselves in a deadlock due to Mutually Hurting Stalemate (MHS) and look for a Way Out. Although MHS is based on cost- benefit analysis, WO is perceptional for him. (p. 232- 233) He also points out the effects of MHS on negotiation by stressing the pressure that can prevent to reach an enduring solution as it cannot lead to meet the interests and needs of the parties better than status-quo. (p. 236) What I like in this chapter was his explanation on why parties use violence especially in an intrastate conflict but I would like to read how states legitimize their tendency for negotiation while the rebels use violence as the public always ask why to negotiate with the ones who destroy the people of the country. In addition, he brings Mutually Enticing Opportunity (MEO) for a comprehensive negotiation for resolution, rather than management, as in MHS, I would like to see his perspectives on audit of the negotiated agreement as he also touches on the situation of rebels in post- conflict. Why Can We Consider Kosovo-Serbia Relations as ‘Conflictual’? Having read Rubin, Pruitt & Kim, (Chapter 1 in Social Conflict, 2003), Tidwell (Chapter 1 in Conflict Resolved, 2004) and Rasmussen, (Peacemaking in the Twenty-First Century: New Rules, New Roles, New Actors, 1997) it is clear that the concept of ‘conflict’ does not mean only physical struggle or dispute among parties, but also it reflects psychological underpinings by physical confrontation. As Rasmussen asserts that especially after the end of the Cold War, we have witnessed that beside the disputes over resources, identities also played important roles in the evolution of the conflicts. 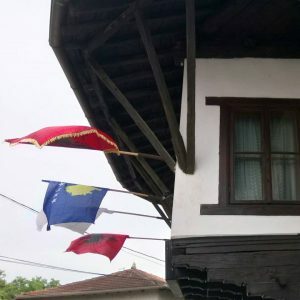 Therefore, I would pick the Kosovo- Serbian relations as an example of conflicts in the World as their relations included armed conflicts/war in 90s and now they still have disputes over resources both material and immaterial. By saying material, I mean use of natural resources, electricity and budget etc. For the immaterials I would name conflict in international arena to be or not to make Kosovo recognised. In addition, most people have percieved divergence of interest (Rubin, page 5) and also war memories that make solutions hard to achieve. Therefore, with it’s physical and psychological elements, briefly mentioned above, Kosovo- Serbian relations could be an example of conflict. As a graduate student, I write response for every week on various subjects and I decided to publish them for the ones who are interested. They are very short and aims brief coverage. Therefore, they can just provide a starting point. By reading Harford, in the Logic of Life (2008), we can assert that people are rational as they calculate the cost, benefit and consequences of their actions, rather consciously or unconsciously, for their future as well as for the present(p. 4). Whereas he opposes ‘Homo Economicus’ in four manners as “people are motivated by all kinds of normal human emotions”(p.11). Wit, in his article ‘ How ‘Crazy’ Are The North Koreans? ’, says that North Koreans are rational and realist as they are survival oriented. From his words, ‘We simply don’t take them seriously’, I can infer that recognition is central for negotiation, as we have actors and issue(s) to be discussed to solve the conflict, although it is sometimes held just to gain time when other games are played. In Harvard Law School, Program on Negotiation Report, (no.10, 2012) basic ‘technical’ concepts, such as BATNA(Best Alternative to a Negotiated Agreement), reservation value, target value are introduced. After that, we read a brief roadmap for a negotiation strategy. Lastly, in Muthoo’s article named A Non-Technical Introduction to Bargaining Theory (in World Economics, April-June 2000), we read some principles for ‘bargaining’. Such as patience, inside- outside options, bargaining power of the negotiators, breaking down risk, commitment, asymmetric information. Although I liked his points, I would like to come up with some thoughts. First, he does not clearly make a separation between bargaining and negotiation, because we know from Hopmann that ‘bargaining is not negotiation’(1995). Second, as Muthoo uses marital bargaining example, this makes me remember realist approach of ‘Battle of Sexes’ in which a couple try to reach an agreement on their vacation. Therefore, I would like to read integrative and distributive negotiations regarding this situation and also the ‘expanding the pie’ approach. Third, as he puts emphasis on impatience and asymmetric information, I would like to read his thoughts on lack of trust, role of outsiders (their manipulation). Fourth, we can reach some blueprints for power asymmetry in bargaining power coming from outside options, I would like to see power asymmetry situations in negotiation. Lastly, I think that he makes clear the problems and their consequences but does not mention how to overcome them. Sabancı University | Güzin Aycan ÖZTÜRK Copyright © 2019 All Rights Reserved.